The automotive industry is one of the most vibrant in the world today. There are various processes that a vehicle must go through before it is ready for use. Designing is the first process in automotive manufacturing. A manufacturer has to pick a design that is suitable and feasible. The next process is bringing in the components that build the chassis. After that comes the assembly of different parts to make the body of a vehicle. Then comes the painting and the interior construction and there is also analyses of functions of a vehicle. A panel PC has great importance when it comes to streamlining the automotive manufacturing process. Through the use of industrial computers, manufacturers can automate certain processes. Computers allow for seamless shifts from one process to another. This function is possible because computers share information about certain processes and initiate actions. With automated machines, it becomes easier to assemble various parts of a vehicle. A computing device can provide access to several crucial processes of manufacturing. All-in-one computers allow for less time in manufacturing and better productivity. Panel computers are also fundamental in the maintenance of automobiles. 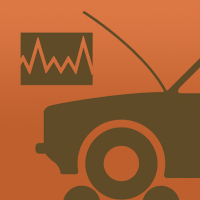 Computers facilitate diagnostic processes that tell if a car is in good working condition. A car is only as effective as its systems. Nowadays, a lot of vehicles have various electronic systems that need care. Car manufacturers and other industry experts use industrial computers to provide the necessary services for automotive maintenance. Panel computers come with different features that have an impact on the manufacturing process. The power of an industrial computer allows it to take on various functions in production. Accessing various processes from one computer is possible. The design and structure of a panel computer prepares it for the harsh environment in factories. A rugged computer will not suffer damages from dust, fluctuations in temperature, or fluids. Computers are typically more accurate in their functions than humans, and that reduces the risks of errors during manufacturing.